Auto Sales Are On Pace to Be the Best Since 2006: But What Company Is Winning? So far, 2014 has been a year filled with scandal and is actually on pace to be the biggest recall year in history. Strangely, though, none of this seems to be bothering buyers. In fact, this past May, automakers racked up one of the best sales months since the Great Recession, putting to rest any doubt that the auto industry is still in trouble. The total May sales in the United States were at 1.6 million vehicles, which is up by an impressive 11.4% from May of last year. Through the first 5 months of this year, car manufacturers are on pace to sell more than 16 million vehicle. That would be the best year since 2006. Astonishingly, almost every manufacturer is experiencing a serious surge in sales, including GM who sold more vehicles than any other company with 284,964 total vehicles. That’s an incredible 12.6% increase in sales from last year. 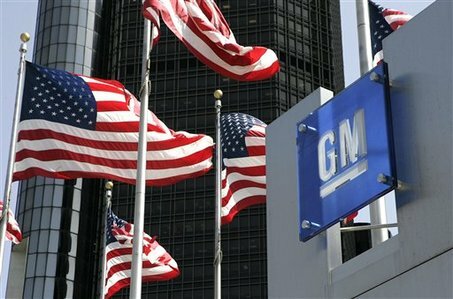 Engrossed with one of the biggest scandals of all-time, it may seem that a great year for GM would be unlikely. However, GM did just win the North American Car and Truck of the Year earlier this year and consumers seem to be impressed with their latest products. Automotive sales have been so good in 2014 that many are hopeful that the industry can continue to bolster the entire American economy. 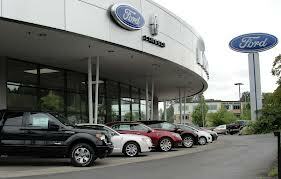 This entry was posted in Culture, Ford, GM, Toyota and tagged auto sales, Chrysler, gm. ford, increase, Toyota. Bookmark the permalink.